Hi everyone and welcome to the April Really Reasonable Ribbon Blog Hop. 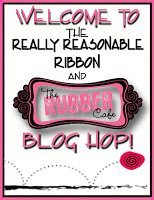 This month Really Reasonable Ribbon is teaming up with our friends from The Rubber Cafe. 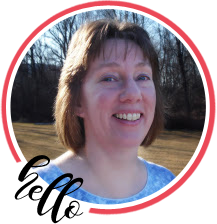 If you arrived here from Irit’s Blog, then you are on the right track. If you just happened along, be sure to hop back to The Rubber Cafe Blog and start from the beginning so you don’t miss a thing. 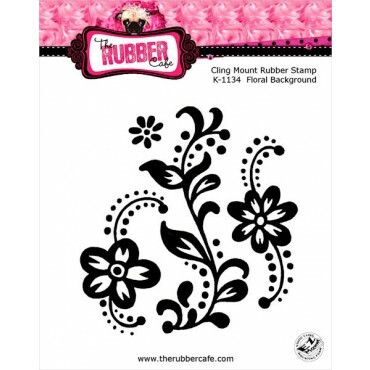 along with rubber stamps from The Rubber Cafe. I selected the Floral Background stamp from The Rubber Cafe and I just LOVE it!! I just love background stamps because they are so versatile. I have two different cards I made using my stamp. On my first card I used the stamp for my background. I cut my white background paper in strips and used a couple of different colors of ink to make it more fun. I created a quick ribbon flower using a 1″ XL Glue Dot and the pretty blue diamond satin ribbon from the April Ribbon Club Assortment. The flower center is the pink ribbon tied in a double knot and hot glued to the middle of the flower. I finished it off with a bow using the yellow ribbons. This was a super-quick card. For my second card I used the Floral Background stamp as my focal point. I created a bow with the light orchid shimmer satin using my Bow Easy Tool and I ran a piece of the lavender vertical stripe grosgrain across the middle of the card. Very fun background on the first card and this stamp makes a nice focal point on the second. Both of your cards are lovely. TFS. Both of these cards are beautiful. I would have a hard time if I had to choose one. Great job! Love your cards. But I really love your blue flower. Thank you for a chance to win. Love how you used the stamo 2 different ways. Thank you forthe tutorial on the ribbon flower. I really like the red, white, and blue. Very creative! Beautiful! Great work! Very pretty cards. I love the backgrounds and the flower on the first one. That's neat how you used 2 different purples in one card. Very cool! Such happy and fun cards. I like seeing the same stamp used different ways. Adorable cards ,you make simple so sweet 🙂 Thank~you for sharing your inspirational crafty talent with us. Very pretty cards, love how you used the background stamps. gorgeous cards … you make me wanna go home and make one! new follower! Very pretty cards. Love your color choices.